Wool. Silk. Vertical fringe. Horizontal stitching. Hand knotted. Hand tufted. Hand dyed to optimize the interplay of color and light. Fully customizable, beautifully rendered. Nani Marquina has spent the last 30 years creating rugs that pair modern designs with ancestral techniques. We want you to give yourself the enduring gift of a beautiful rug. We love what we do. You inspire us to work our hardest every day to provide furniture and decor that is timeless and modern, beautiful and functional, with an unwavering commitment to the highest quality and personal service. CH22 and Via 57 are here! We love bringing you the latest launches from our Danish partners Carl Hansen & Søn and Fritz Hansen, both of whom have manufactured furniture at the pinnacle of Danish Design for more than a century. Run your hands over the curves and feel the craftsmanship. Thank you for your business and friendship this past year. 2015 was amazing, and we are grateful for every opportunity we've had to work with you. We've got so many beautiful things in store for you in the year ahead! 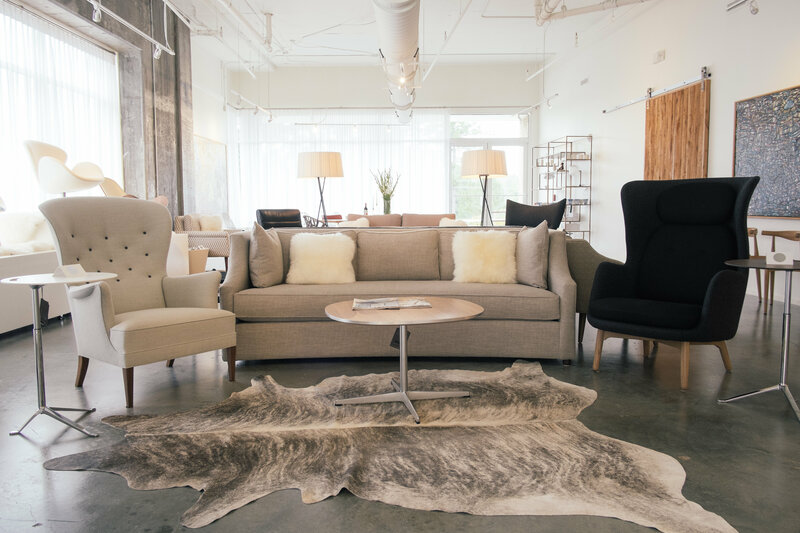 Stop by our showroom and visit us online as we continue to build our offerings to become the premier resource for authentic modern furniture and design in the South. We've got some great things in store, like the Knoll Annual Sale September 19-30, a Meet-the-Artist event with featured artist Martha Neaves on Thursday October 2nd, and new selections from Salone Del Mobile and ICFF 2014.